Home Mammals Are Mice Smart? Mice are extremely agile little animals. They are most active at night even though their eyesight is not highly developed. However, they can hear and smell very well. They are excellent jumpers and swimmers too. But all these characteristics are quite well known to most of us. What about intelligence? Are mice smart? If your house is infested with mice or have mice in house, you may want to know how smart are mice? This is really important to know if you want to get rid of them effectively so that you will be able to trap the mouse by knowing how to set a mousetrap. So let’s figure out! Are Mice Smart and Intelligent Enough? We all know mice can be dangerous since they can transmit various diseases to humans like LCMV and Rickettsialpox. But are they smart too? Well, to start with, the size of a human brain is much larger than that of a mouse. However, this doesn’t mean mice aren’t smart enough because recent research shows that their brain functions almost like ours. This is quite amazing. Contrary to popular belief, mice are not blind. In fact, they are intelligent enough to process and perceive 3-D objects. In the recent past, researchers have found evidence that mice may exhibit some kind of empathy among themselves. This means if any mouse is in pain, other mice can somehow feel or sense that pain. Amazingly, by changing a single gene within a mouse, scientists have recently created mice that are much smarter and more intelligent than ordinary mice. In mice, they have actually altered a gene within an enzyme (known as PDE4B). By obstructing the activity of this enzyme, they have managed to create mice that can learn faster, remember much longer and solve complex problems. They can quickly trace their path with the help of maze. As compare to normal mice, these mice showed greater cognition and are, therefore, “super-smart”. In another research, scientists have recently created mice that contain half-human brains. These mice are, therefore, much smarter than ordinary mice. Mice are incredibly smart rodents. Through squeaking sounds, they often communicate with each other. Besides, they also make some of the high-pitched sounds called ultrasonic vocalizations (USVs). But unfortunately, we can’t hear these voices due to extremely high frequency. 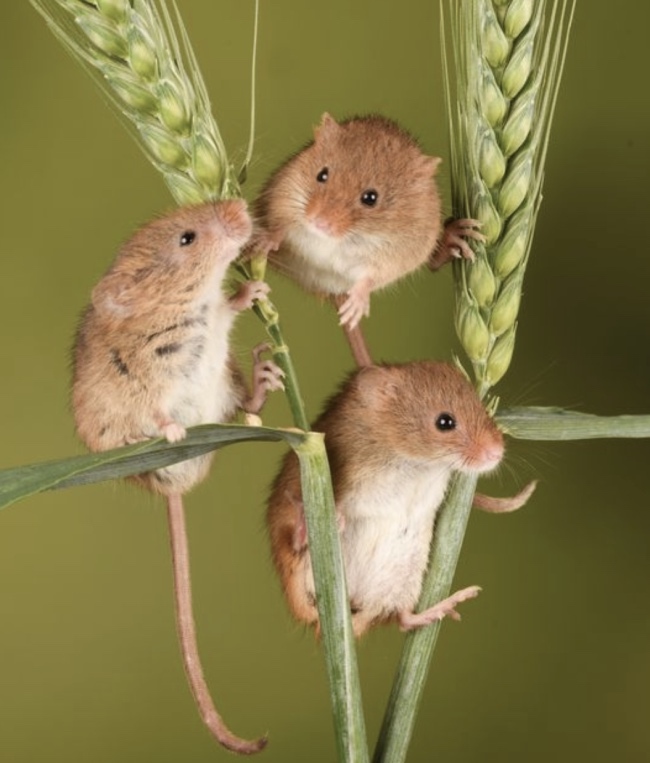 During recent studies, researchers find evidence that male mice tend to produce USV songs. These songs are turned out to be quite similar to the ones emitted by songbirds, when such birds seek to attract their mates. Apart from singing, they are also known to wrestle with each other and playing or sleeping together. Mice also talk to each other through touching, smelling or urinating and at times, by striking their tails on floor. Most of the mouse species excavate burrows underground and their female members defend their nests aggressively. They are also found to be highly social creatures. The commensal male mice quite often mark their territory through the scent of their urine. After that, they forcefully defend this territory against intruders. They seem to have strong family bonds among themselves and feel great affection for their human masters. These little rodents also feel depressed or lonely when their companions are not around. They are smart enough to respond to their names and remember them. As far as eating is concerned, mice also seem to be picky eaters. They are found to pick out tasty meal and discard part of the food that has unpleasant taste. Mice are also clean rodents as they clean their fur and groom themselves time and time again. Mice are inquisitive little animals. They can learn simple tricks from their human guardians. As pets, they may bounce off in enjoyment and seems to take delight in the company of people. This is one of the reasons why it is fairly easy to teach them simple tricks because after all, mice are much smarter than you think.